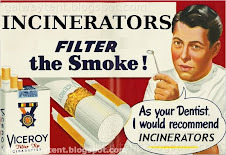 The Galway Tent Blog: Poolbeg Incinerator Promoters Cooking Up Air Studies? Poolbeg Incinerator Promoters Cooking Up Air Studies? Air Pollution may kill 12 times more people in Poolbeg than in Tallaght or Clondalkin. 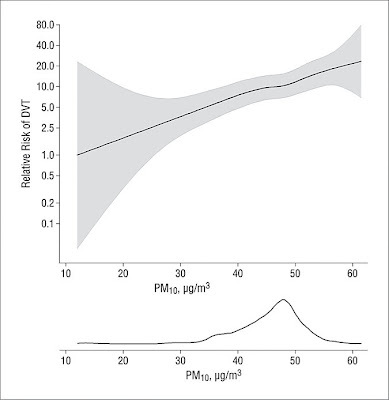 If Poolbeg pollution increases by just 20%, from 50ug/m3 to 60 ug/m3, then at least 26 times more people will be killed in Poolbeg. Hopefully DCC's solution is not to kill more people in West Dublin to fix the ratio. 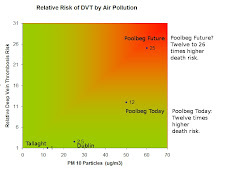 Cynically, neither Dublin City Council nor its agents such as Covanta appear to have produced clear information for the public about the potential health effects from their waste-to-toxins factory. Referring 'Joe Soap' to a one thousand page document, a cynically political EIS full of obfuscation, is less than honest work. EPA senioreta management is apparently as useless as the financial regulator and also stacked by FF, so be surprised if they do better at Poolbeg than at the chromium rich Cork harbour. Now, long after the oral hearings, the incineration promoters are getting ready to defend against future court cases by starting to conduct curious 'studies' of air quality around Poolbeg. If their jam jars for dis FF science are recyclable expect another 'lying' Green Party flyer.